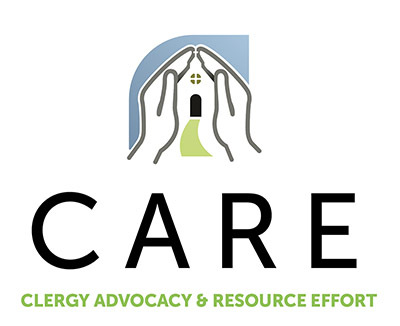 CARE Initiative seeks to address economic issues facing pastoral leaders and to advocate for pastors and church boards in pastor financial planning and compensation. Then CARE can bless you with important resources and assistance. Hosting Regional Seminars addressing healthy practices for pastors and board members in pastor compensation and family finance planning. Ultimately, CARE works to inform and challenge the ways congregations bless their pastors and encourage pastors in their long arc of ministry. What Financial Planning Resources Are Available? 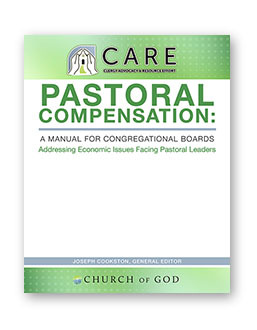 A Church of God-branded rationale and guidelines for pastors and church boards on pastoral compensation. A collection of pastoral compensation topics authored by knowledgeable persons in the Church of God. Order by contacting Patti Williams at PWilliams@chog.org or call 800-848-2464. A CARE Financial Planner is available to confer with pastors and church boards and offer direct financial consultation related to pastoral compensation. These consultations offer a variety of services to pastors and church boards through a variety of contact options: telephone, on-site, and virtual. All financial planning consultations are offered to pastors and boards—absolutely free. For information and appointments, complete the Inquiry Page. These six-hour on-site training events offer pastors and church board members practical information for understanding the nuances of pastoral compensation. Expert and engaging facilitators will initiate round-table discussion in an interactive and enjoyable environment. Discussion titles include: Pastoral Compensation is Complicated, The Cost of Ministry vs. the Cost of the Minister, Pastoral Compensation and the IRS, and How Do I Talk With My Board About Pastoral Compensation. Registration: FREE to pastors, spouses, and church board members. Information: Contact Patti Williams at PWilliams@chog.org or 800-848-2464. 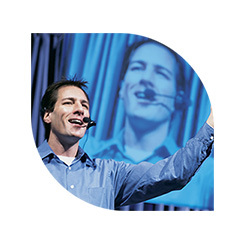 The videos below are designed for use in church board meetings for training with members. Each five-minute video answers one question related to pastoral compensation and support. Click on the desired video below. CARE Initiative addresses the critical economic issues facing pastoral leaders in two sequential ways: Financial Education and Financial Assistance. CARE begins with a directed educational effort with pastors and congregational financial decision makers. CARE offers free financial counsel to pastors through the CARE Financial Planner. CARE sponsors Seminars. These 6-hours highlight expert presenters in clergy compensation, round-table pastor discussions, and opportunity for Q & A. CARE makes provides training resources. Once pastors and board members have participated in educational and planning venues, pastors may make application for Ministry Excellence Funds. Ministry Excellence Funds address three particular pastoral issues: (1) educational debt relief, (2) retirement planning assistance, and (3) transition assistance. 1) Educational Debt Relief – These funds are limited to young-in-ministry pastors: < 40 years old OR < 10 years in credentialed ministry in the Church of God. Process: After one year of pastoral service in a Church of God congregation, a pastor may apply for ministry educational assistance. Eligibility will be determined through an application process with the CARE Financial Planner. Grant funds will award $3,000 per year and make direct deposit annually to institutions holding the student loans. 2) Retirement Planning Assistance – Retirement seed funds will assist pastors either to enter or to re-engage a retirement fund through Servant Solutions. This assistance is limited to young-in-ministry pastors who are < 40 years old OR < 10 years in credentialed ministry in the Church of God. $600 (minimum church contribution) + $120 (minimum pastor contribution) + $3,000 (CARE Contribution) = $3,720 annual deposit in pastor Servant Solution retirement account. 3) Transition Assistance – During extended search processes, pastoral candidates have limited income and, many times, find times of transition to be financially challenging. Process: Eligibility will be determined through an application process led by the CARE Financial Planner. Upon recommendation from the regional pastor of the state or region in which the exiting congregation is located, a one-time award of $500 per-month with a cap of three months will be granted to the pastor in transition. Assistance funds will be limited to pastors experiencing 1) involuntary transitions and 2) with no immediate relocation plan. Transition assistance is non-renewable. Click on the link below to register your inquiry into the benefits of the CARE Initiative. The CARE Financial Planner, Ryan Harter, will respond to your inquiry. The purpose of this first conversation is to establish an encouraging connection regarding your particular concerns and requests. After the initial conversation with a CARE representative, you will receive links to the appropriate services, registrations, and applications.